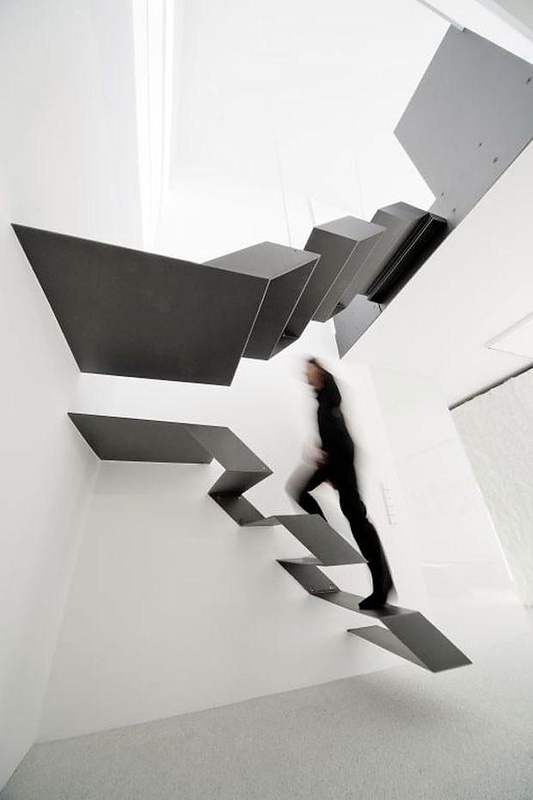 HomeBlogHome DecorBüro.Loft F27 Staircase by Schlosser + Partner. 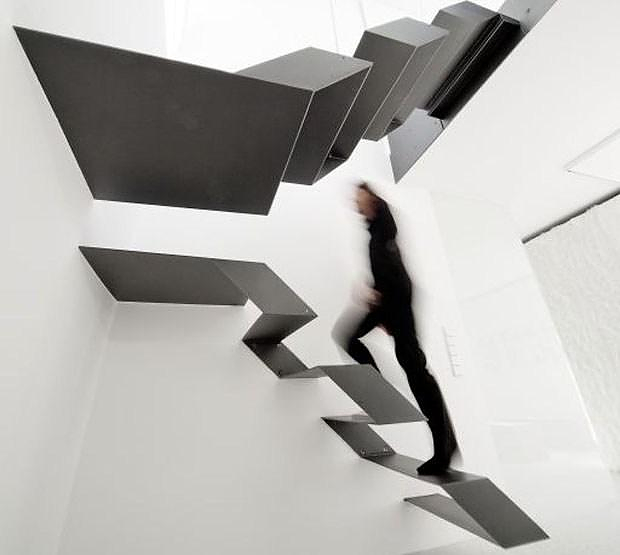 This stylish staircase was designed by Austrian architects Schlosser + Partner and is located at the Office-Loft project Büro.Loft F27 in Graz Austria. Effectively this unique staircase serves a functional purpose and at the same time bocmes a space-defining decorative element. The Büro.Loft F27 is an urban two-storey apartment built in the 1990s which was transformed into a multi-functional loft serving as home and office. The main staircase is a two-piece design, which occupies vertical space, a necessity for efficient space planning in the 76 qm sized loft. It is attached directly on the wall, without touching the ground, for a unique floating effect. Moreover the stunning shape of this modern staircase is further emphasized by the black & white color combination.